Hacienda Soluna Experience the Ultimate Comfort and Relaxation Located in one of the most sought after gated communities on the north coast, Hacienda Soluna is the definition of ultimate relaxation and comfort. 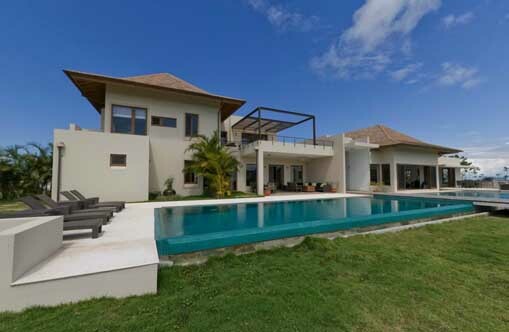 Boasting an ultra modern kitchen, super wide sliding glass doors, outdoor pool and barbeque terrace, the 21,000 m2 high end luxury villa offers sweeping views of the tranquil waters of Dominican Republics beaches. From its stylish interiors to cleanliness, every aspect of this villa will make your stay comfortable and filled with luxury. 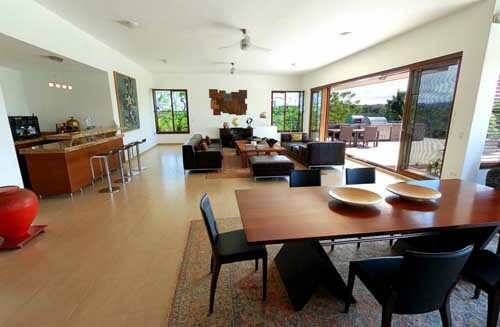 Hacienda Soluna has two living areas the Main Villa and Guest Villa. The 17,754 sq ft (1650 m2) Main Villa has four bedrooms, one bedroom condo for your housekeeper and an underground bunker with one bedroom and full bathroom with its own supply of energy in case of hurricane. Enjoy great ocean views and fresh air every morning. Watch spectacular sunsets every evening from the terrace or pool just off the living room. 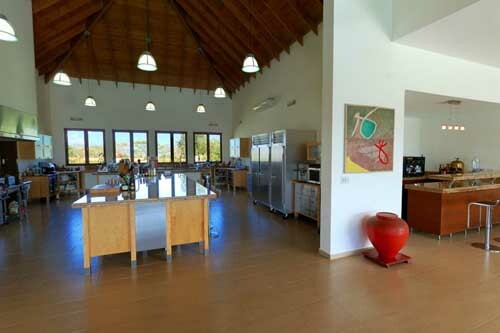 Fulfill your dream of being a chef in the villas fully equipped kitchen. 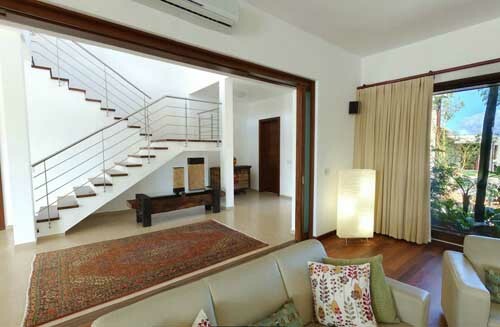 If your relatives or friends are coming over, let them stay in the Guest Villa. 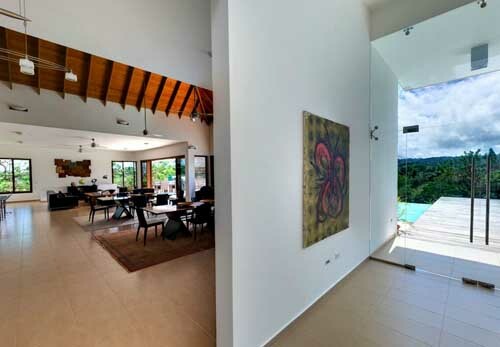 This villa has two bedrooms and two bathrooms on a 1,668 sq ft (155 m2) living area. Invite them for a barbeque party in the villas outdoor BBQ area. 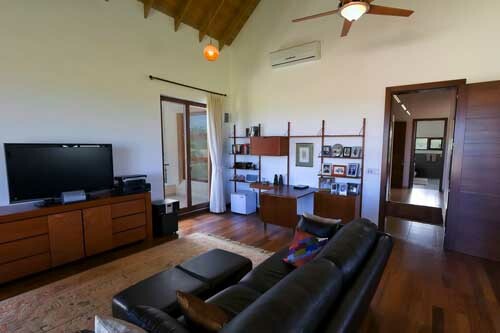 Hacienda Soluna has three carports where you and your guests can safely park your car. 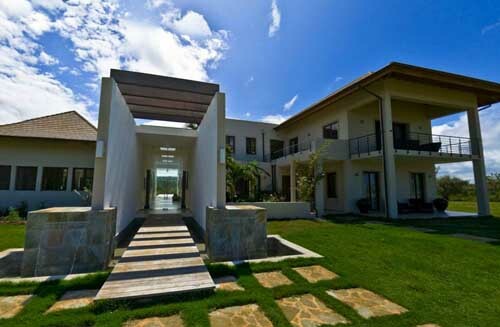 You don't have to worry about power interruptions ruining your fun as the villa is equipped with solar panels and two backup generators that you can use anytime. 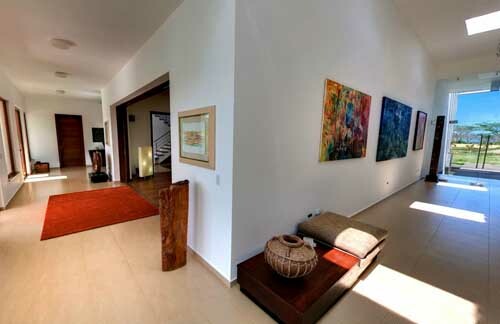 Home Features -	2 living areas -	3 carports -	Pantry -	Solar panels -	High end kitchen with 65 m2 -	2 pools -	BBQ area -	2 backup generators A Luxurious Lifestyle Make Your Dream Come True Convenience Hacienda Soluna is a fully equipped luxurious villa with swimming pools, expansive spaces and a luxurious, modern kitchen. These amenities make your stay more relaxing and lavish. You can prepare your own meals when you want to and swim in the pool without sharing it with others or bumping into anyone. Family-friendly If you have kids, the pools in the villa would be right for them as here, you can supervise them while they enjoy the pool. Since your'e the only one using it, you are assured that the water is safe and clean to swim in. Privacy When it comes to privacy, Hacienda Soluna doesn't disappoint. Take things at your pace. It is located far away from the hustle and bustle of the city, so you have a lot of opportunity to relax and enjoy the peace offered by the place. 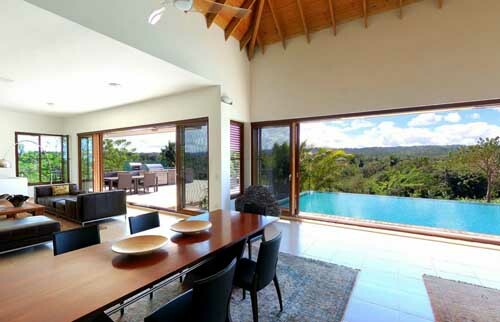 About the Community Hacienda Soluna occupies more than 5 acres of land with its lot size of 21,000 m2. 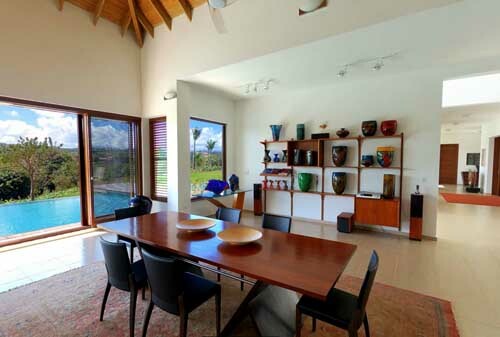 Being located in Dominican Republics best gated community, expect to experience a sense of intimacy and see stunning views when you drive to your villa. Be amazed with the expansive size of the properties in the community. The roads are also lined with lush gardens and tropical trees. Some villas have tropical mountainside vistas while others have great ocean views.